After so many high end concept phones, let’s relax for a bit and enjoy a fun piece of news. 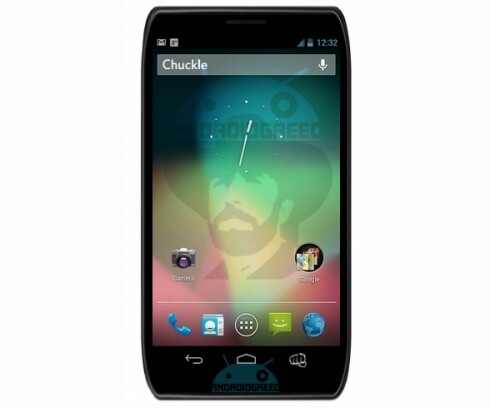 The folks of Android Greed have imagined a Chuck Norris Android phone, with specs that even the Starship Enterprise would envy. The design is pretty similar to the one of the Motorola Droid RAZR, but the people behind this mockup said that it can change shape at any time, thanks to the power of the Chuck. The handset runs a special edition of Android, one that Google and Chuck Norris created together. Apparenly it’s called Android Ultimate and it comes with a software button that looks like a fist. This one allows you to summon Chuck Norris just like Aladdin summoned the Genie. It’s nice to see that they mentioned the device is manufactured by Motorola and before mentioning other ridiculous features, apparently the phone is able to survive to dips of 10,000 meters below the sea level and a drop from the top of Sears Willis Tower. The specs of the Chuck Norris phone are as ridiculous as it gets and include a 4.5 inch screen with scalable resolution, that can go from HD to 3840 x 2400, plus a 8.888 GHz eight core processor. The CPU and GPU were launched in 2025 and Chuck apparently traveled in time and brought them to us. And finally we’ve got the 12 gigapixel camera with thought focus (don’t ask! ), 8GB of RAM, infinite internal memory and 10,000 preloaded Chuck Norris jokes and facts. If you want to know more about the phone, check out the source, but boy is this phone an exaggerated joke or what?